Upright transport only. Must have 36" in SUV trunk area to fit unit for transporting. Weight 112 lbs Width 11" x Depth 19" x Height 25"
Tank holds 3 gallons maximum. Do not overfill the tank. 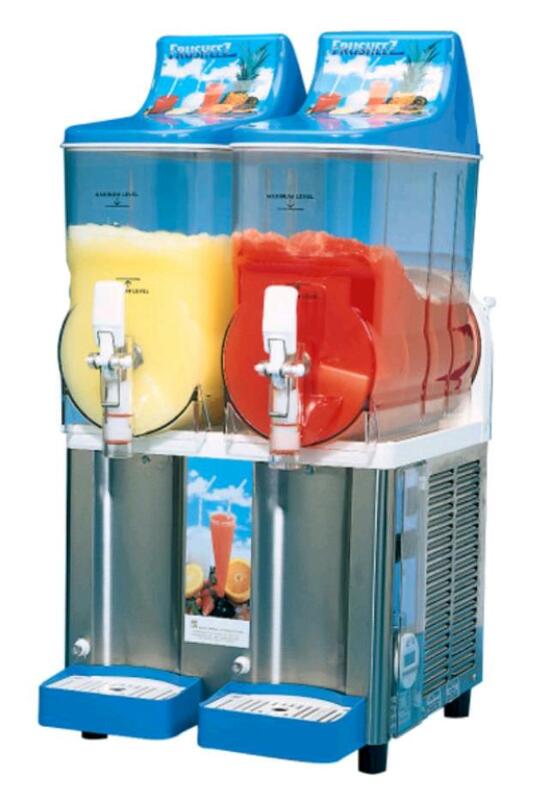 (approximately 3.5 gallons of slush for 3 gallons of liquid). required that 5 to 7 oz. of sugar per gallon be added. If using a concentrate, follow the mixing instructions from the supplier. In general the brix ratio (sugar content) of the product solution (liquid mix) should not be less than 11. Do not add alcohol until mixture is slushy. Alcohol does not freeze.